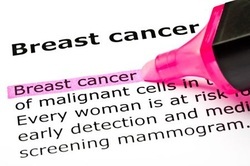 Breast cancer is the second most common cancer seen in women. Once thought a disease of the developed countries, the incidence of breast cancer is on the rise in India as well. In simpler terms it is a "lump that arises from cells lining the milk ducts which slowly grows over a period of time". Like other cancers, breast cancer if unchecked also has the ability to spread to different areas. What are the common types of Breast Cancer?